Editor’s Note: Our last blog post on prepping your motorcycle for shipment received lots of great comments and questions. Here we’ll attempt to answer some of the questions our readers asked. Can I rent a motorcycle trailer? 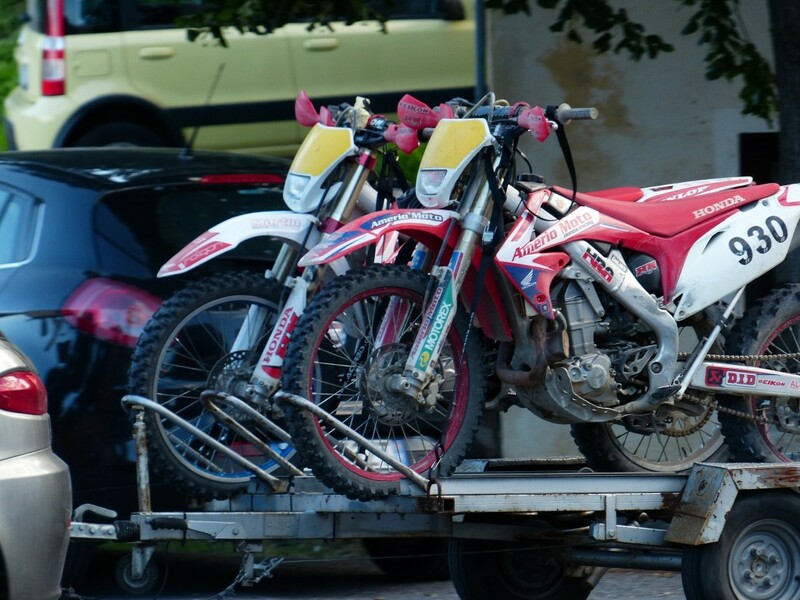 Whether you’re moving motocross bikes or a classic Harley, trailers are a popular means of getting motorcycles from Point A to Point B. Yes, there are moving trailers specifically designed to hold a motorcycle in their storage compartment for easy towing. These trailers, rented from companies like U-Haul, are capable of safely transporting your motorcycle long distances towed behind a truck or vehicle. Make sure that you secure your bike to the trailer using ratchet tie-downs so that it doesn’t come lose during transport. Note, U-Haul’s motorcycle trailer is intended for round-trip use, and must be returned to its original location. For a long distance, one-way move, you’ll want to rent their 5’ x 9’ utility trailer, which also has multiple heavy duty tie-downs and an integrated motorcycle chock. I’m hiring a moving company; can they transport my motorcycle along with the rest of my household goods? Yes, most moving companies will transport your motorcycle as long as any flammable liquids are completely drained from the bike prior to moving. If you’re already paying for professional movers, asking them to transport your bike along with all of your household goods would likely be the most economical option for relocation. Find the cheapest movers in your area with reliable service through AMSA’s Promover Directory. 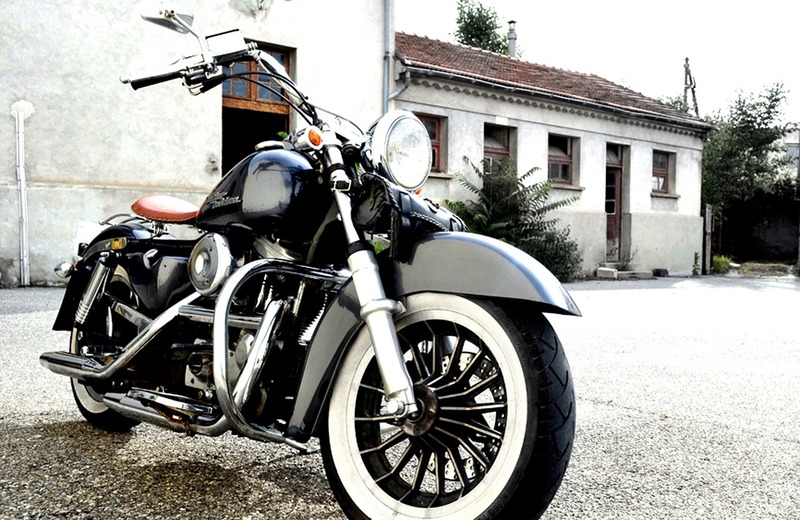 With enclosed shipping, your motorcycle will be protected from the elements and other drivers. Another option to safely transport your motorcycle across the country for a move is hiring a freight company to ship the bike for you. While this option is more expensive than renting a trailer and transporting the bike yourself, it’s also less of a hassle. 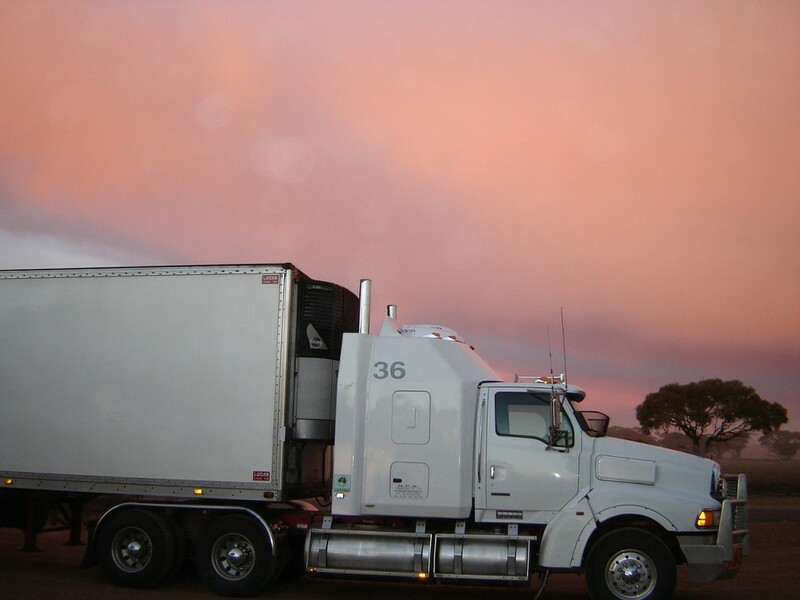 Generally, shipping companies offer open or enclosed transportation. With open transit, a flatbed delivery truck may be used, which exposes your motorcycle to the weather, other drivers, and other conditions that could be potentially damaging. For greater protection of your bike, go with enclosed transportation. If you opt to hire a transportation company, make sure you have adequate insurance coverage in case something goes wrong during transit. If you prefer to ship your bike along with your household goods, but don’t want to hire a moving company, you may want to look into a service like UPack. This moving service drops off a container at your home, you fill it up with your household items, and then they pick it up and deliver it to your final destination. The containers are equipped with plenty of tie downs to ensure the safety of your bike during transit. How early should I start planning the move? Ideally, you should begin planning to move your motorcycle along with yourself and your family at least one month prior to the actual move date. This will allow you enough time to really explore various shipping methods and to prepare your bike for transport. It’s always wise to allow yourself sufficient time to get everything done when moving across the country. How do I prep my bike for the move? Check out our article on getting ready for moving day for specifics on prepping your bike for the move. Moving your motorcycle may seem like a hassle, but with these helpful tips, we hope you’ll find moving is safer and easier than you thought. With a little research and forethought, you’ll have your bike safely delivered to your new home and ready for a new adventure on unexplored roads. Motorcycles have less traction that most other vehicles, and that makes them more accident-prone. Here’s how to prove fault in a motorcycle accident. The post Motorcycle Accident Lawyer 101: How to Prove Fault in a Motorcycle Accident appeared first on YouMotorcycle. A 1979 Vespa 100 Sport review and walkaround video, to show you some of the really cool and unique features this Vespa has that today's modern Vespas don't. The post 1979 Vespa 100 Sport Review / Walkaround appeared first on YouMotorcycle. The world's first flying motorcycle, created by Ludovic Lazareth and his team in France, hovers at about 1 meter above the ground. See pics and video here! Copied with permission from bikerMetric.com The post The World’s First Flying Motorcycle appeared first on YouMotorcycle. E-commerce giant Amazon will be launching something new and aimed specifically at motorcyclists: Motorcycle installation services at "Amazon-approved" local motorcycle dealers! The program launches April 1st. The post Amazon to Launch Motorcycle Installation Services at ‘Amazon-Approved’ Dealerships appeared first on YouMotorcycle. Copyright © 2019. The World of Motorcycles.